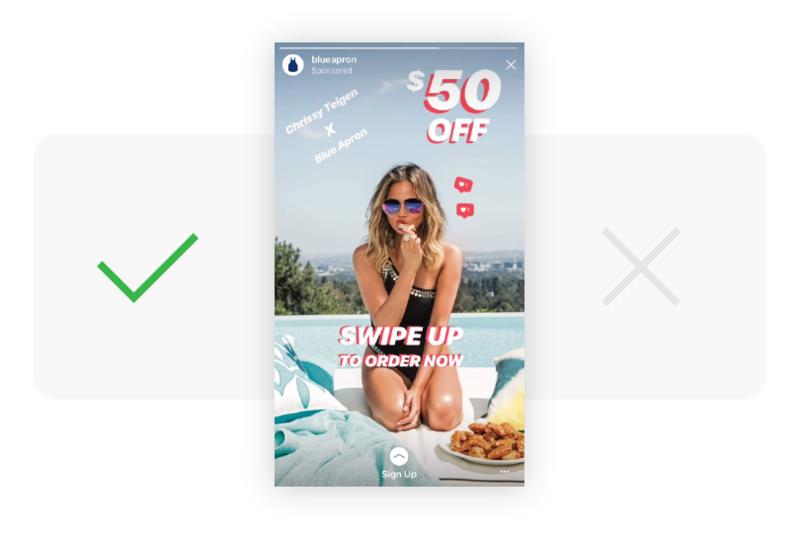 If you are successfully running Instagram feed ads but haven’t invested in Instagram Stories yet – you’re missing out. In November 2017, Mark Zuckerberg announced that some 300 million people were using Instagram Stories on a daily basis. That user base is projected to grow, which creates a massive opportunity for marketers looking to target new customers and grow revenue. There are major benefits to Instagram Stories ads. For one, they come across as a bit more organic to the user. 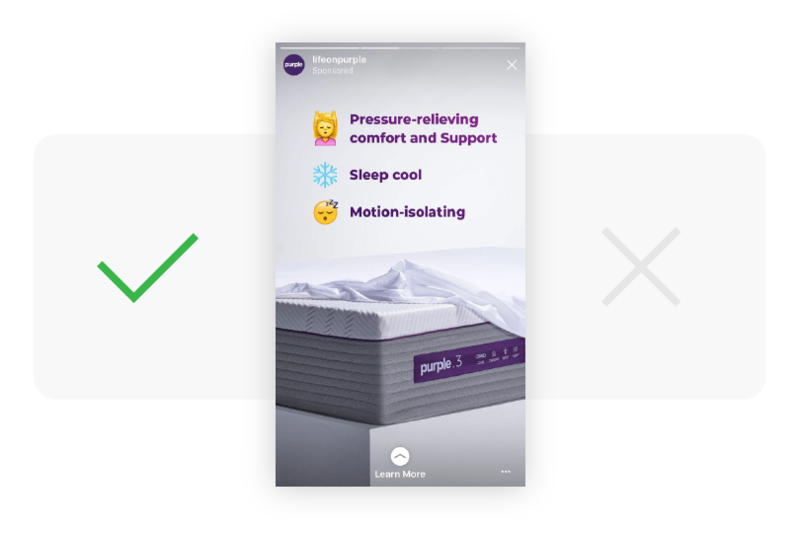 Instagram Stories ads are interwoven among the organic content that people are already viewing, so seeing an ad does not disrupt their viewing experience. Secondly, these ads run on the entire vertical screen – giving marketers full use of the mobile phone’s real estate. And while it may seem like these ads are geared toward driving brand awareness, we’re seeing tons of retailers utilizing this format to drive product sales. We’ve compiled six best practices to help you bring your A-game to Instagram Stories. Instagram is dominated by millennials. According to the latest Pew Research figures, 71% of 18-24-year-olds in the U.S. are on the platform, compared with just 16% of people over the age of 50. If you are targeting those millennial consumers, you should use language and imagery that resonates with this demographic. Here’s a great example from skincare brand Supergoop. Pro tip: Avoid trying to sound too much like a millennial by incorporating memes. This strategy tends to miss the mark. 2. Hook users right away. 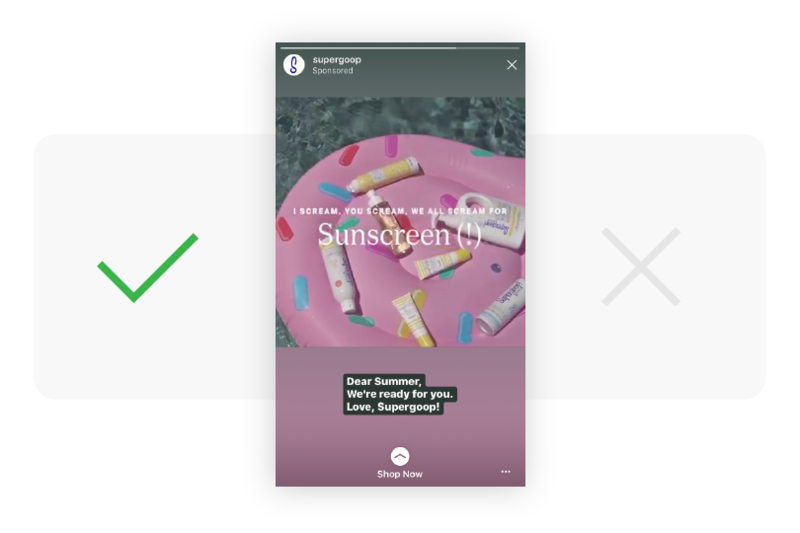 With a quick swipe to the left, users can move from one Instagram story to the next. This means you have a fleeting amount of time to hook shoppers … or you risk losing them. So, when it comes to video, the first shot needs to be compelling. Makeup brand Sephora provides a great example of how to do this. In one of their Instagram Stories ads, they kick off the video with a brief shot of artist Rihanna. At first, it doesn’t seem like an ad – but more like the organic content that lives on Instagram. The second shot of the video depicts the actual products Sephora is selling. So, once the user is hooked with imagery of an inspirational figure, the brand moves on to the product imagery. Not every brand will have access to someone like Rihanna, but if you work with an influencer, this is the perfect time to leverage that relationship. Kick off your videos with aspirational visuals to keep people watching. And, if you don’t have the resources to create a video, no worries. Use the Instagram Boomerang app to create fun video-like content. 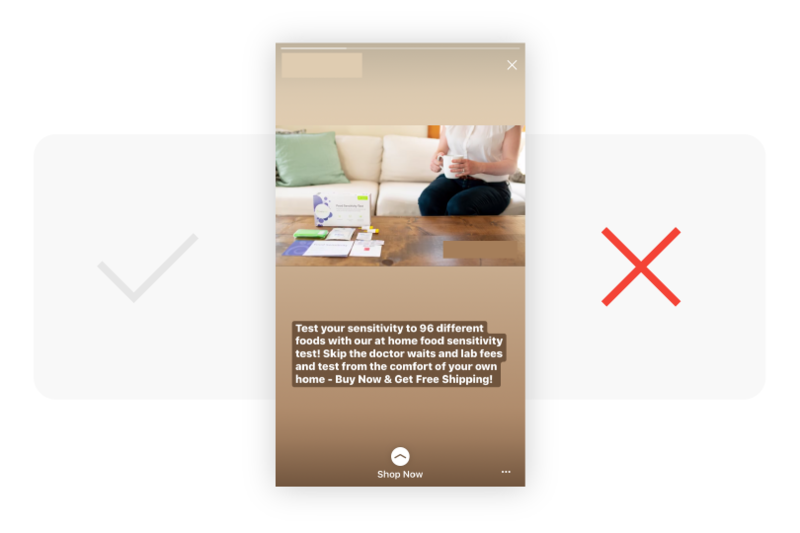 When you post a photo as an Instagram Stories ad, it will remain on users’ screens for 10 seconds. People can press down on their screens to keep the content up for longer, but unless your ad provides some sort of unique value, there’s a good chance users won’t do that. Most people don’t like being sold to. The brand below serves as an example of what not to do. The sentences are long and because the photo itself doesn’t look organic, there’s a good chance many people swiped left upon seeing this ad. The takeaway here is to give your audience just enough to encourage them to swipe up and shop. With Instagram Stories, you can add text, graphic elements and emojis to your images. Take advantage of this as it lends itself well to the type of content users already see on Instagram. Here’s a great sample from Blue Apron. what it is: recipes from their collaboration with chef and model Chrissy Teigen. the deal they’re offering: $50 off. how to get the product: by swiping up. 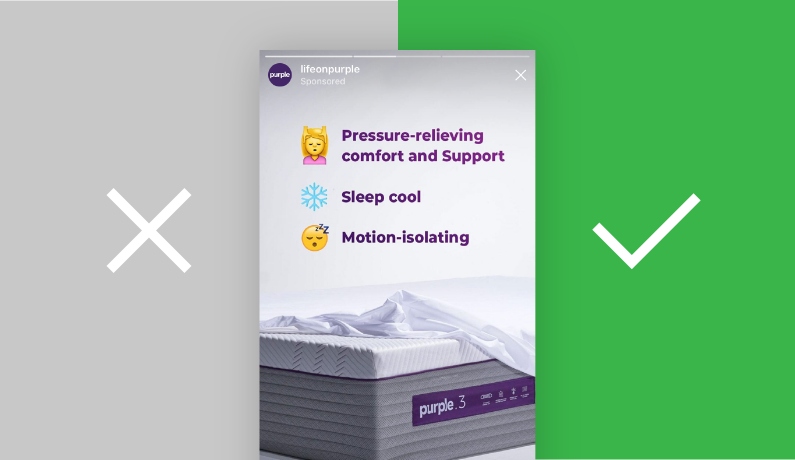 Here’s another example from mattress retailer Purple. The brand communicated the benefits of one of their products by incorporating emojis. This makes the content look a bit more organic and fits in well with how people are communicating on Instagram. Who wouldn’t want to learn more about this product from a brand with such relatable messaging? 5. Tell a story about your products. They’re called Instagram Stories with good reason. 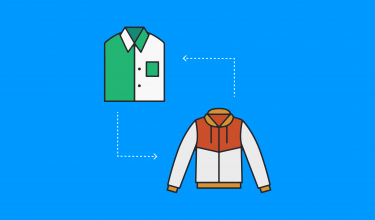 This is your chance to create a narrative about your products and inspire people to shop. Apparel brand Lively executed this perfectly with an ad for one of their strapless bras. The brand demonstrated how it would feel to own this product using a series of images and videos. With this imagery, they’re telling shoppers that this isn’t your average bra. It’s a product beyond anything you’ve owned before. The Home Depot also executed the art of storytelling well, and they did in a very simple way. With two images, they’re telling shoppers that their products have the power to completely transform spaces. You can do this too. Share “before” and “after” images and let your audience see how your products can transform their lives. 6. Make sure your content is high quality. Yes, you want your content to look authentic and to blend in … but it still needs to be high quality. 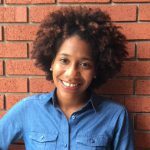 No one wants to look at grainy or blurry visuals. The brand below got it wrong with this video. 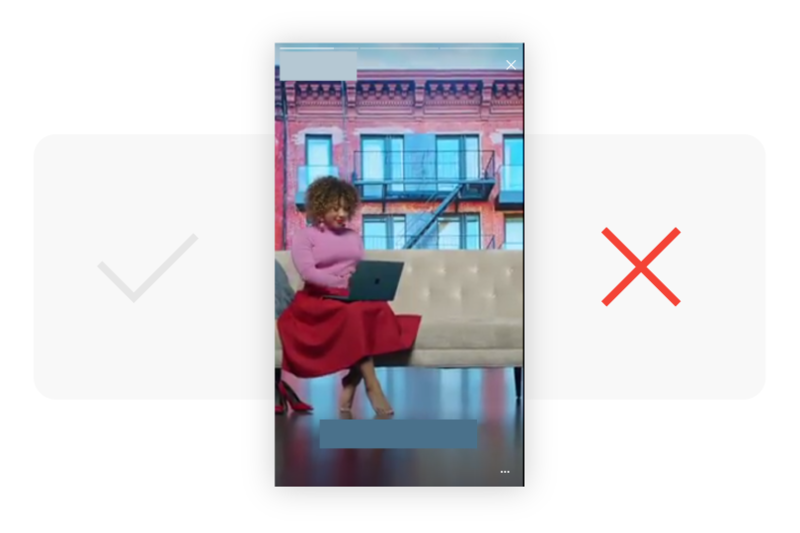 Users who were served with this ad went from seeing clear content from their friends to watching a fuzzy video from a brand. To ensure your visuals are on point, adhere to the video guidelines from Instagram. To sum it up, you can use assets and resources you already have to create engaging Instagram Stories ads. It doesn’t get better than that. So, go forth, get creative and start driving sales with this growing platform. 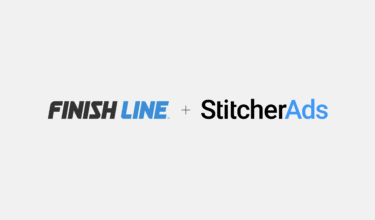 Want to learn how StitcherAds can help you build eye-catching ads that drive revenue? Hit us up! We’d love to chat.